In a time where travel was restricted by car, the hall guaranteed a good night out, smack bang in the centre of the district. Almost seventy years on, committee members are planning to celebrate the anniversary of the hall to remember the beginning and recognise how the hall, along with society, has changed during the years. The celebration scheduled for August 19 will include an afternoon tea, light entertainment, raffles, stalls and a display showcasing how times have changed from the original days where ladies wore full length dresses and men wore suits. 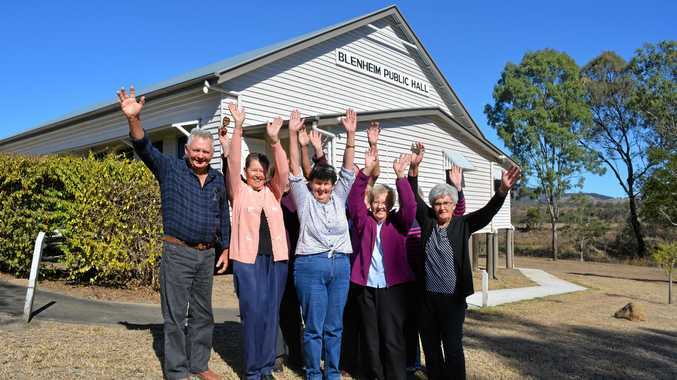 From the beginning, the heart of the small community has been run by a committee of volunteers who did everything from cleaning the toilets to organising fundraising events. Funds for the community hub were originally raised by sports days, concerts and dances that cost two shillings for admission. Since then, the committee has kept up maintenance to the dominant fixture in the centre of town, as well as installing a new floor in 1986 which was funded by a cent sale. Sunday's event will secure the future of the hall with all proceeds going towards paying insurance for the hall which costs the committee $3000 every year. For decades the hall has been a place for weddings, engagement parties, birthdays and funerals - a tradition the committee wants to continue. The hall is held dear by many, but particularly by Blenheim Public Hall committee member Aileen Seng whose father donated the land for the hall to be built on. Mrs Seng is pictured as a six-year-old on the opening day and since then has celebrated many happy times at the hall including her 21st birthday, both her sister and her daughter's weddings and most recently her grandson's engagement party. 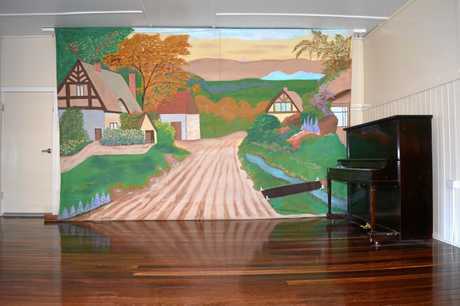 "It is very special to me this hall, my parents were involved and my brother was caretaker for years,” Mrs Seng said. The committee look forward to celebrating the hall which has formed a social meeting place for both locals and passes by who often stop for a packed lunch on their way through town. Festivities will begin from 1pm with attendees encouraged to enjoy the day uniting with people in the community.